Tired of not getting the recognition your team deserves? You know your team offers real value to the company, but you don't have the insight to prove it. 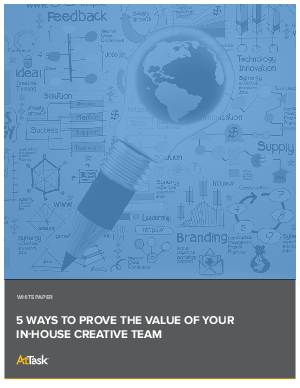 See how you can prove the value of your in-house creative team, gain the respect you deserve and earn a seat at the decision-making table.